I promised that I would keep you, dear reader, updated on my adventures in the world of microstock photography. So here I am, back with another review. The last time I had a look at Adobe Stock and today it’s time for Shutterstock. It’s been a few weeks since I set out and uploaded my images onto a number of different sites and I’ve made my first experiences, had my first sales and I have made mistakes. All of that will be spoken about in detail in another post. Today we shall be having a quick look at the ins and outs of the Shutterstock backend. Shutterstock was among the first agencies I uploaded to. I wasn’t all too pleased with my experiences in the beginning: It took forever to get approved and my images were just sitting there and I couldn’t do anything with them. But I waited patiently (okay, not too patiently) for everything to be sorted out. And once it was done I continued uploading and everything has been dandy since. I mentioned that I reckoned that Adobe Stock would be my favourite place for uploading. That was then and this is now. I’ve changed my mind: Shutterstock is the one to beat. They support FTP uploading, which I’ll now just take as a requirement for any place I upload to. But once my photos are up, there’s hardly a thing I have to do. Because I tag and name all of my photos in Adobe Lightroom everything is already in place and I don’t have to do much more than hitting submit. With Adobe Stock I first have to reorder all of my tags and then submit them. And Shutterstock has sets. I love this feature. In fact I love it so much I made a whole post just showing off my sets. Signing up to Shutterstock is easy. Just visit http://submit.shutterstock.com/ and follow the steps detailed on there. I won’t go through the whole process on here but I did want to give you a quick overview of how to submit photos. 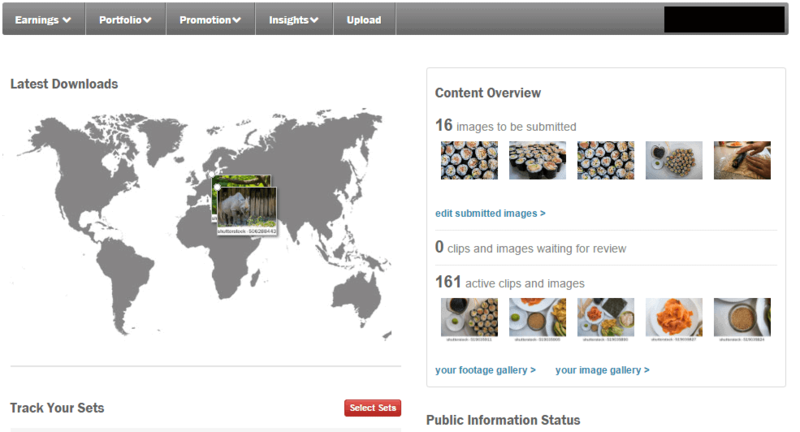 The Shutterstock dashboard is great. It’ll give you a quick overview of your latest sales on a map of the world, show you your earnings and photos that still have to be submitted. It’s fast and responsive and so far I’ve got nothing but praise for it. An added bonus would be, if I could customize the dashboard. Because I label and title all of my photos in Lightroom all I’m left with is selecting a category in the backend. Once that is done your images can be submitted for review. I’ve found the review process to be really fast. Again, no complaints. Let’s get to the interesting part: How are the sales, I hear you asking. Well, Shutterstock has had the most sales as of now. But it’s not many. As I wrote in the introduction, I’ve made my fair share of mistakes in the beginning. I hope things are getting better and I’ll be able to post an earnings report at some point. There’s just not enough data to create anything useful as of now. 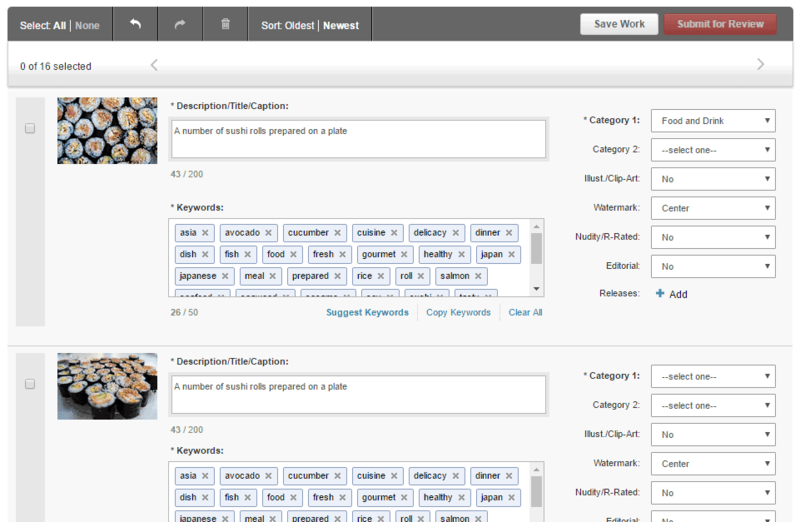 So I’ve still got a few lines to write until my posts on Bigstock and Alamy will be up. I hope I’ve given you a bit of an overview. To get started in microstock I recommend the book Taking Stock: Make money in microstock creating photos that sell by Rob Sylvan.